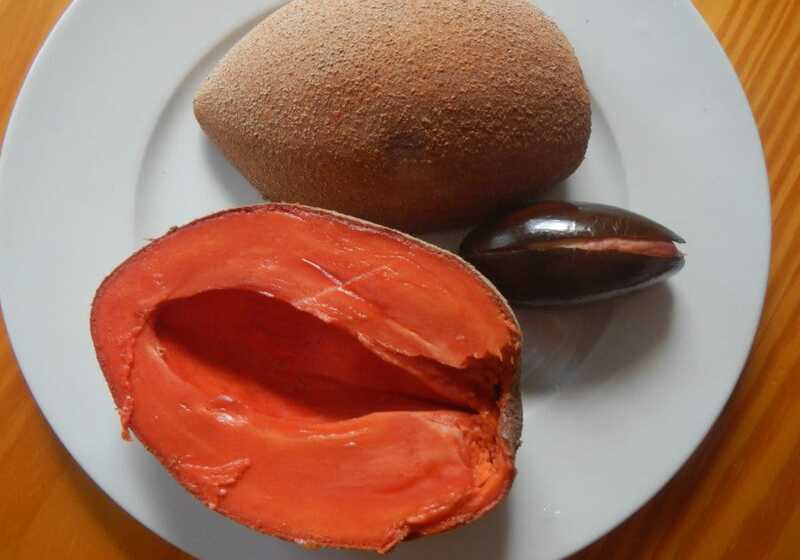 The Zapote has a rich, velvety flavor somewhere between sweet potatoes and brown sugar and is one of Costa Rica’s unique delicacies. These interesting fruits are widely available at local markets between March and June, at the start of the rainy season. In addition to being tasty, they are also highly nutritious. On the outside, they don’t look like much, so the bright orange flesh inside is a nice surprise. You can eat the fruit raw; use it in fruit drinks, or even make ice cream with it. There are several zapote varieties throughout the world, but the local kind (Pouteria sapota) is treasured for its distinctive taste. Native to Indonesia and Malaysia, the rambutan is sometimes mistaken for a giant, hairy strawberry. Once you open its leathery skin, the fruit resembles a large grape, with an inedible pit at its center. Tart and sweet at the same time, the delightful fruit, called mamon Chino in Costa Rica and is in the same family as the lychee. You can purchase them by the bag for less than 75 cents a pound, and enjoy hours of guilt-free snacking, as each fruit is light in calories yet packed with essential vitamins. Mamon chinos are either bright red or a muted yellow color, and both varieties come into season twice a year. 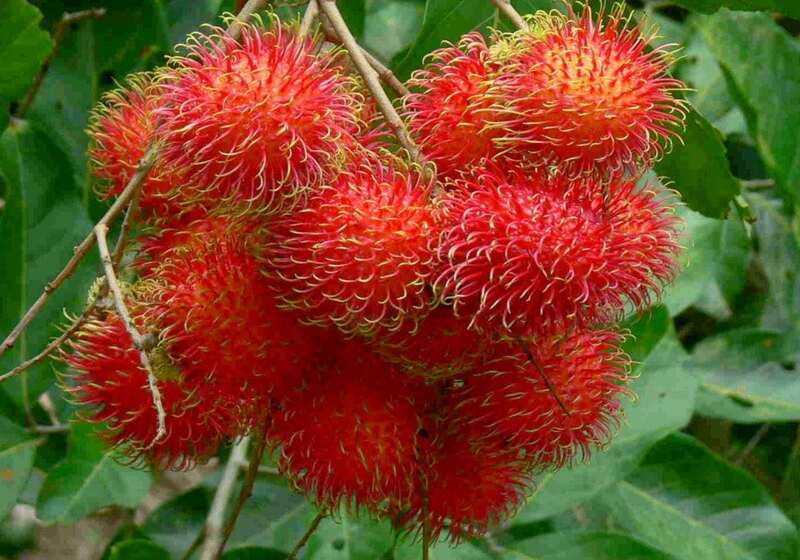 From the Costa Rican Fruit’s, the rambutan is one of the Costa Rican’s favorite! An entire festival dedicated to the Pejibaye each year, and for a good reason! Bright orange in color and delectable versatile, the peach palm fruit (its English name) is enjoyed for its wonderful nutty flavor, which is similar to roasted chestnuts. Pejibayes are always boiled in chicken broth or salted water and usually topped with a tiny bit of mayonnaise. Starchy like a potato or breadfruit, and very filling and also often used in recipes for bread, soups, cookies, and cakes. And if you’re ever visiting Costa Rica in October, stop by the Pejibaye Festival, held in the quaint town of Tucurrique. 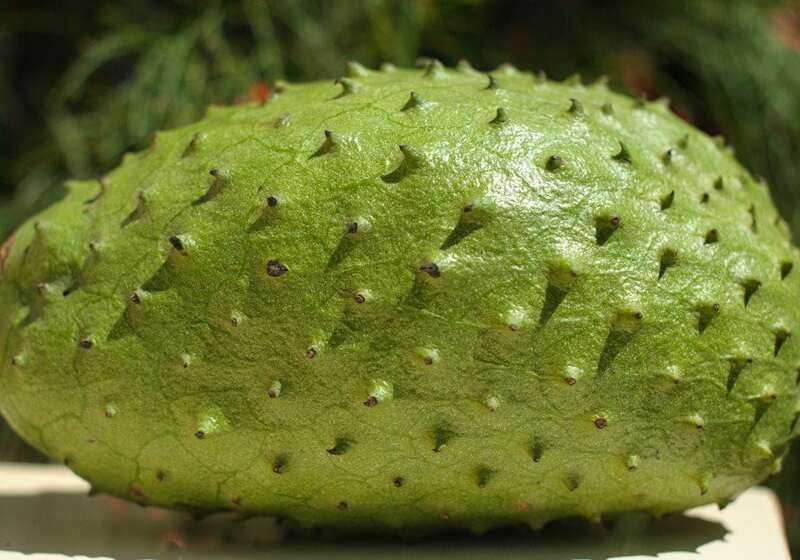 Locally known as guanabana, the soursop is Costa Rica’s go-to fruit for refreshing smoothies. Covered in tough, spiky skin, this big, green fruit has a sweet flavor similar to that of a pear. Since they grow in big produce, most grocers and fruit vendors sell only small portions of the fruit, and blended with water for a natural drink, or eaten raw. If you have an ice cream maker at home, guanabana sorbet is a straightforward and healthy dessert, that’s also easy on the wallet! This green, yellow and red fruit is a treat to be enjoyed in August and September. 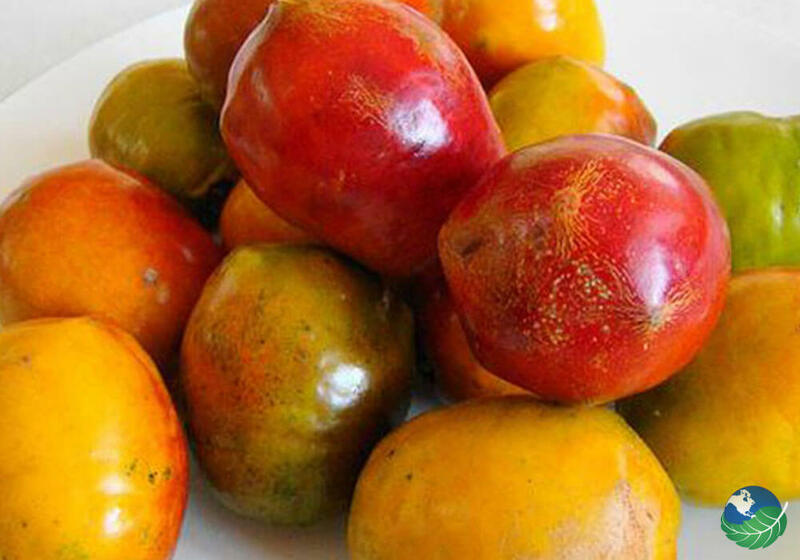 The jocote fruit is also known around the world as the red mombin, hog plum and purple mombin and is a part of the cashew family. Costa Ricans enjoy jocotes before they are ripe with a pinch of salt. If you wait until they are red, they are sweeter and juicier. Pick up a bag of jocotoes at a local farmers market for a sweet treat! 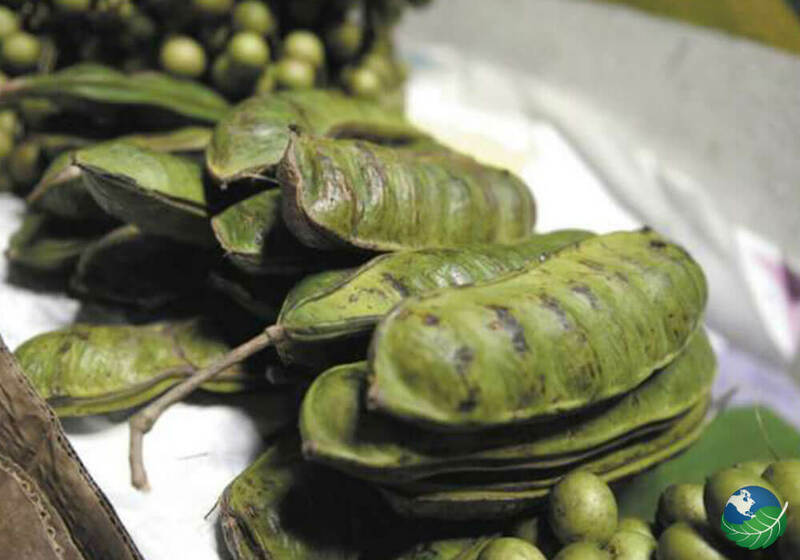 Guaba is known as pacay and the ice cream bean and it’s a weird and delicious legume in Costa Rica. It tastes like a fruit but it is actually related to vegetables. More specifically lentils, snow peas and green beans. On the inside you’ll find a white pulp with black seeds. You can eat the pulp but make sure to spit out the seeds. Find guaba in the fruit stands between January and June. Maracuya Passion Fruit, is one of the most popular fruits in Costa Rica. 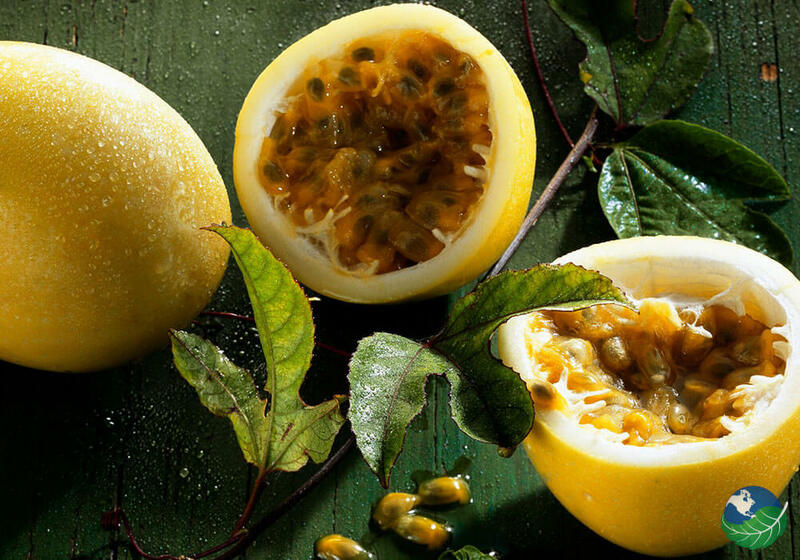 There are two kinds of passion fruit in Costa Rica, maracuya and granadilla. Both can be found all year but the best time to enjoy maracuya is between March and May and August to December. 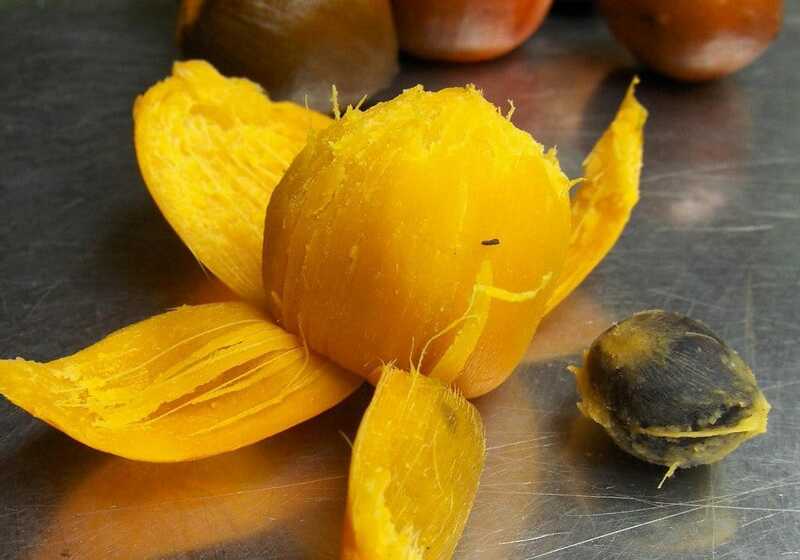 Maracuya is full of an orange pulp and black seeds. Similar to guaba, you eat the pulp and spit out the seeds. It is rich in vitamins A, C and K, iron, phosphorus and calcium. Maracuya is not only a popular Costa Rican snack, but smoothie ingredient as well. 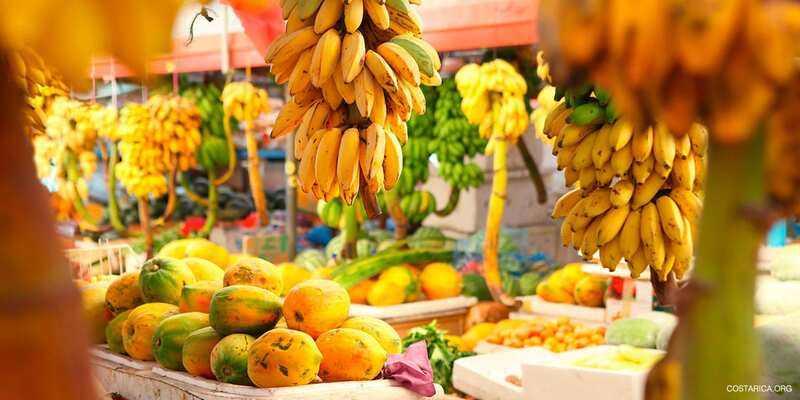 We hope you enjoyed our listing of some of the many exotic Costa Rican Fruit. The fruits and vegetables found here are a part of what makes the Cuisine here so unique – the fresh, natural Costa Rica Fruits. Taste only the best foods.